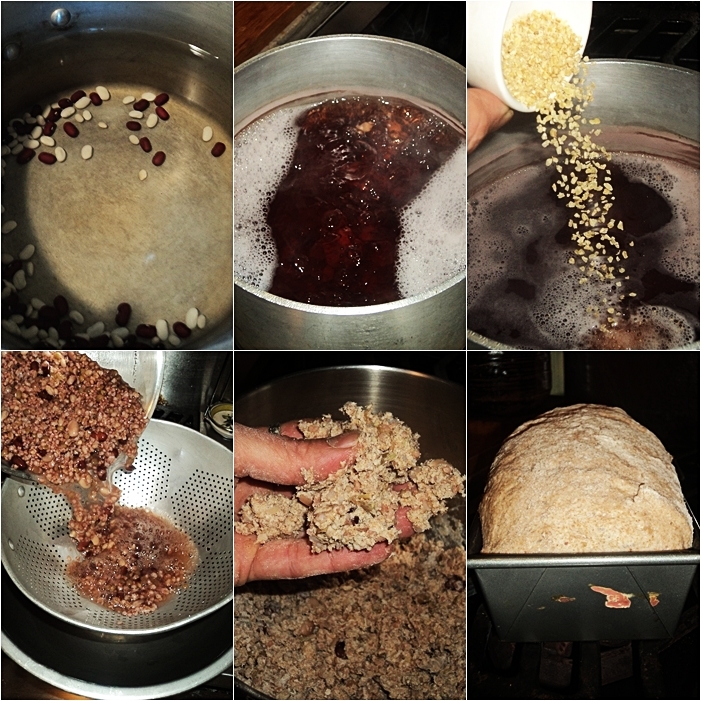 This is one of my favorite breads..it is not too difficult to make and it is super-nutritious. 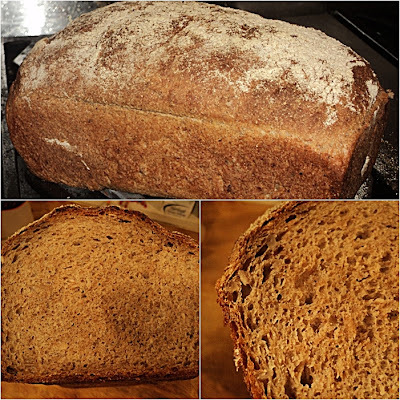 I've posted on this bread and variations of it in the past (click here, here, and here), and this is a revised version of those recipes. In this recipe I use 100% whole wheat flour (which I did in this recipe as well), but what is really different--and while this may seem insignificant, it is really not--is that I reduced the amount of liquid in the biga (pre-ferment) from 1 cup to 1/2 cup. This makes a somewhat dry starter but it keeps the subsequent dough from being too wet (which was a concern I've heard voiced by readers and bakers who tried the recipe). Another thing is that I added a few tablespoons of vital wheat gluten. Because whole wheat flour has less gluten than white flour, and the high concentration of grains, I felt this bread would benefit from a bit of added gluten...and it worked great. I had intended on offering metric measurements for this recipe for readers/bakers outside the US (purchased a digital scale recently), but alas time got away from me. I'll do it in the future. Anyhow, if you enjoy baking, or even if you have never baked bread but want to, I hope you try this recipe...it is not as difficult as it may seem at first, but it is really delicious. To learn more about my views of this bread, with more explicit directions and pictures, click here. Love this bread! Searched net for a sensible recipe which didn't involve a flour mill, this was exactly what I wanted. I ended up reading all your Ezekiel bread recipes and amazing clear guides. This came out brilliantly and is just so tasty, will be my regular weekly loaf. Am going to experiment with converting to sourdough as well.